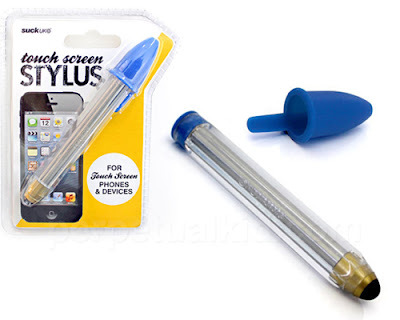 I never understood the need for a stylus for the phone, yet there are times when you see gadgets that pique your interest and ring in the bell of nostalgia. Such is the case with this stylus masquerading as a Bic pen. I haven’t used one of these pens in ages and never thought they were particularly great to write with but as a stylus perhaps it would be.